Autograph Letter Signed ‘Ella Wheeler Wilcox’, to Mrs. Higgins, denying that she was ever Mrs. Higgins’ classmate. 1 page 7 x 5 inches, blue paper, a few minor blemishes. 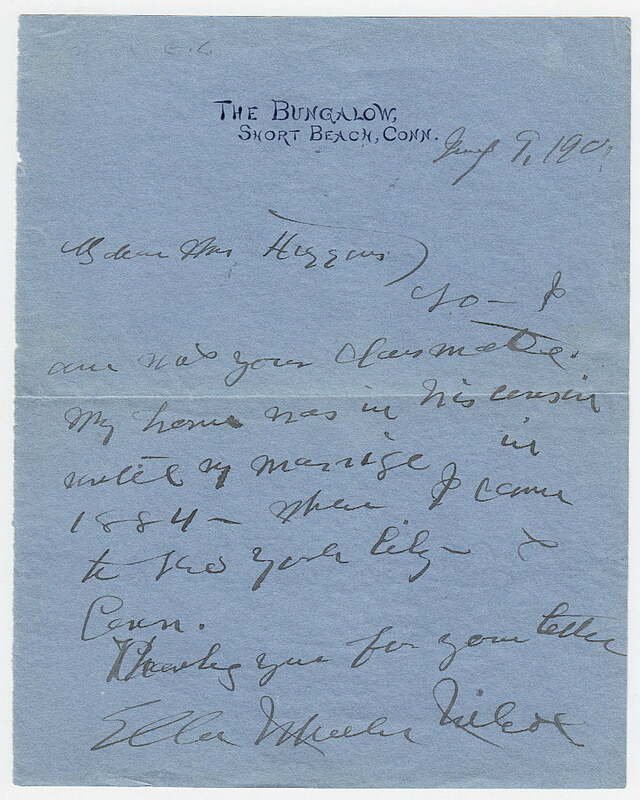 The Bungalow, Short Beach, Conn., 9 January 190?. “My home was in Wisconsin until my marriage in 1884 when I came to New York City – & Conn.” Ella Wheeler Wilcox (1850-1919), American poet, journalist and free thinker.